The WalkBikeNC — North Carolina Statewide Bicycle and Pedestrian Plan is the most comprehensive and innovative statewide bicycle and pedestrian plan in the country. WalkBikeNC is North Carolina’s first statewide plan for improving walking and bicycling. Championed by the North Carolina Department of Transportation’s Bicycle and Pedestrian Division, the WalkBikeNC comprehensive plan addresses mobility, safety, economics, health, and environmental stewardship. The plan defines the walking and biking needs of residents and conveys the policies, projects, and programs necessary to meet those needs. 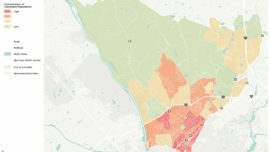 Developed through a unique collaboration among multiple state agencies and private sector funders, WalkBikeNC also engaged more than 16,000 residents. It has laid the groundwork for new collaborations and partnerships. Alta led a team, working with NCDOT, to develop a comprehensive plan with a vision for the future of bicycling and walking in North Carolina. Important tasks included reviewing the current status of bicycling and walking in this state, researching appropriate strategies for improvement, and identifying the most efficient avenues to apply those strategies. The development of this plan was a year-long process with the release of the final plan in May 2013. Alta/Greenways led a successful public engagement strategy, with multiple focus group meetings and regional workshops, and attended 16 events around the State to gather input. An interactive project website (WalkBikeNC.com) was managed by Alta/Greenways with thousands participating. The Plan was based on a five-pillar framework: Mobility, Safety, Economics, Health, and Stewardship. A comprehensive analysis of economic impact and a health impact assessment are being developed. Recommendations in the Plan address the critical topics of funding, policy, programs, prioritization, design, and implementation. 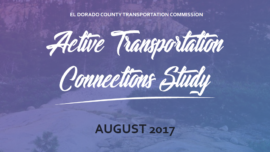 In addition, Alta conducted a thorough analysis of the current state bicycle route system, providing detailed recommendations for re-routing and modernizing the system. 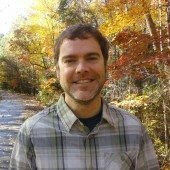 Alta is also developing the accompanying Ncbikeways.com site which will serve as a one-stop-shop for information related to North Carolina bike routes. The North Carolina bike route system is the oldest state system of its kind with detailed paper maps generated in the 1970s and 1980s. The goal of NCDOT is to bring bike route information to the user through current technology, eliminating the need for paper maps. 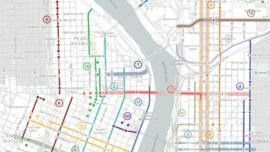 This map application will allow users to map their bicycle routes, with a special emphasis on the current state bike routes. Users can access terrain profiles for their routes, turn-by-turn directions, and major destinations in North Carolina. 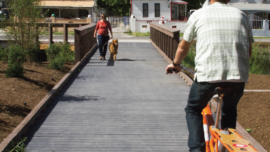 WalkBikeNC won the 2015 National Planning Achievement Award for Transportation Planning. In their words "Our consultants are the main reason for success in this planning effort. "